Laundry business is getting popular nowadays. It is because many people do not have enough time to do their laundry since they are already busy and tired enough at work. This makes laundry business as a promising business opportunity. Moreover, this kind of business also has a quite wide range of target markets. 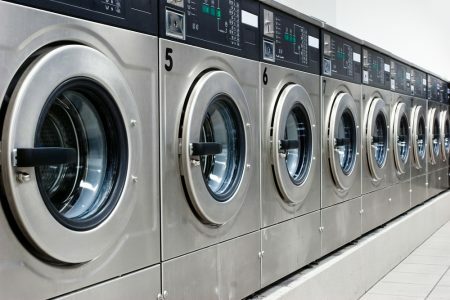 If you are interested to start the laundry business, here are some tips that you can follow. It cannot be denied that a location is one of the important factors which determine how long a business will last. No matter what business you are working on, choosing the right location is essential, including laundry business. Once you have decided the target markets of your laundry business, the next step you have to do is doing a survey. If your target market is college students, then find a location near campus areas. If employees are your target market, find the right location near office areas. But if your target market is couple, find the one near residences. Some important things you must consider when looking for a right location are; the location must be easy to access, the place fit for you to run the business, and it has good water supply and drainage system. Remembering that the laundry business is very related to sanitation and waste management. Moreover, make sure the location or the place meets your budget. Laundry business is one of the most competitive businesses. Especially if there is already another laundry business that has been existing in the location you choose. Therefore, make sure you offer competitive prices with other laundry businesses. Also, make sure the price you offer is suitable for the quality that your customers will get. In determining prices, consider your target market. Do not set an expensive price if your target market is college students or employees. Because their financial will be one of the reasons they choose laundry business. However, do not set prices which are too cheap. Because you will probably be at loss. It will be better if you do a survey first about laundry prices in the location you choose. Running laundry business means you are taking care of someone else’s clothes. This is why you must be careful. Do not be reckless and end up getting complaints from your customers. Treat your customers’ clothes just like you are treating your own clothes. For example, separate white clothes with colored clothes. Being careful in treating customers’ clothes will affect the success of your laundry business. You sure do not want your laundry business falls down because of bad reputations, right? Time is crucial when you are running a laundry business. Because punctuality will be so much related to the satisfaction of your customers. Make sure your customers get they clean clothes at the right time just like you promised them. Have good time management so that you can get good reviews from your customers about your laundry business.